Find out when EA plans to flip the switch. 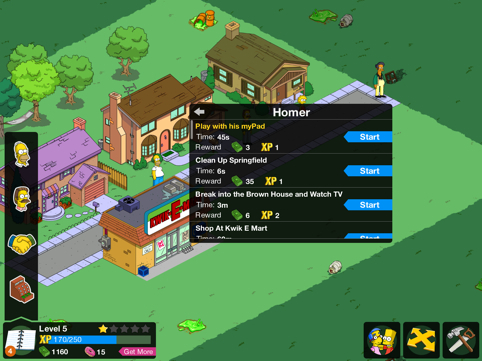 One of the biggest complaints about smartphone gaming is the rapid pace at which it evolves. All of sudden, your expensive device can no longer keep up with the current crop of games. It's a grim reality we all must face. On that note, Electronic Arts announced via Facebook that its hit mobile game, The Simpsons: Tapped Out, may no longer support 1st and 2nd generation iPhone and iPod Touch devices after December 5, due to the publisher updating its software. That said, the company encourages these users to back up their progress via Origin.